Fourth of July is in a week! Do you have your themed desserts planned yet? Well, if you're looking for something simple and delicious, do I have a recipe for you! I created these Jello Poke Cupcakes as part of the Cupcake Couture Blog Party that Betsy from Java Cupcake, myself and 20+ other bloggers teamed up for. 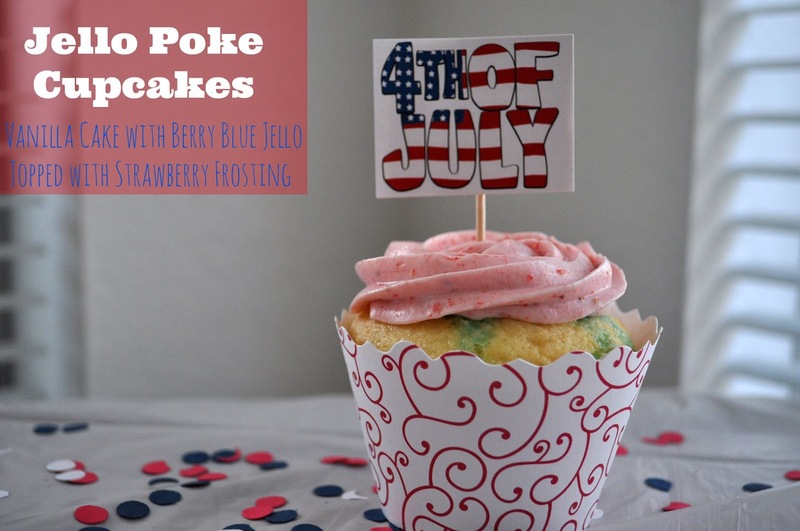 This cupcake is made up of Vanilla Cake and Berry Blue Jello and topped with Strawberry Frosting. 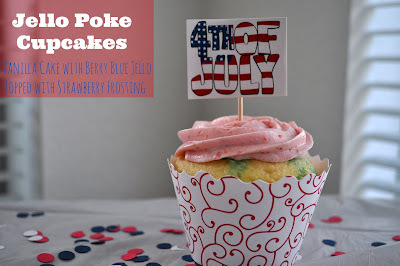 What makes these cupcakes so simple is that it's a box cake mix, box of jello and a can of frosting that's spruced up to make them seem way fancier! Also, I made those little cake toppers myself! Check out the recipe here!